hd00:20 Neon Disco ball seamless VJ loop animation for music broadcast TV, night clubs, music videos, LED screens and projectors, glamour and fashion events, jazz, pops, funky and disco party. hd00:20DiscoBall Celebrity seamless VJ loop animation for music broadcast TV, night clubs, music videos, LED screens and projectors, glamour and fashion events, jazz, pops, funky and disco party. hd00:06the child stretches and touches the disco ball. The rotating disco mirror ball. Rotating sparkling disco ball. hd00:17Close- up video of mirror ball rolling in the night club. 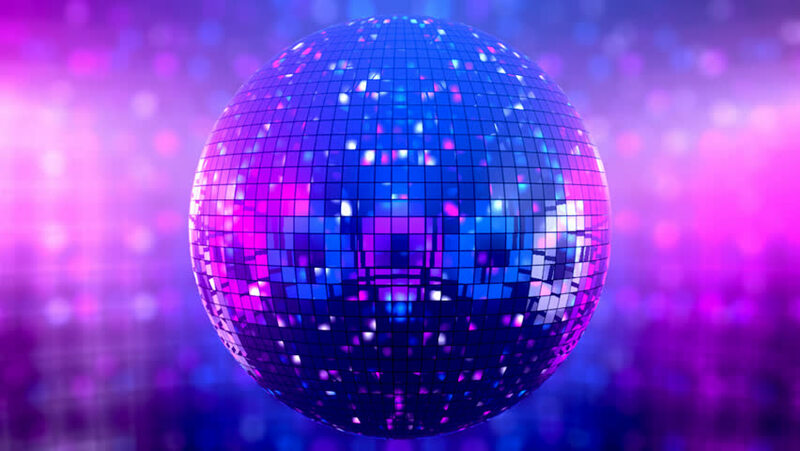 hd00:10Disco ball and LEDs animation for music broadcast TV, night clubs, music videos, LED screens and projectors, glamour and fashion events, jazz, pops, funky and disco party.